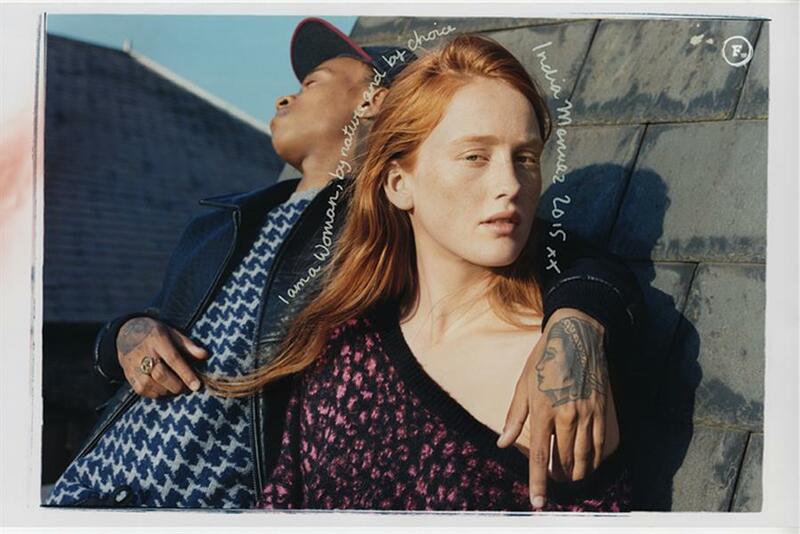 India Salvor Menuez, an actor and sculptor, and the rapper Rejjie Snow are the faces of French Connection's autumn/winter 2015 campaign. Digital displays featuring the pair, along with self-penned credos (eg. "I am a woman, by nature and by choice"), will run from early September across London, Manchester, Newcastle and Berlin. The campaign aims to celebrate individuality and emerging talent. It was shot by Harley Weir through Art Partner. She replaced Rankin, who photographed the previous two autumn/winter shoots for the fashion label. Weir was discovered by a photographic agent through her blog shortly after finishing university in 2010.